HANFORD, Calif. – When a beloved pet dies, good manners usually dictate saying something nice about the departed companion. And for Yoda, it was a compliment to say she sure was ugly. 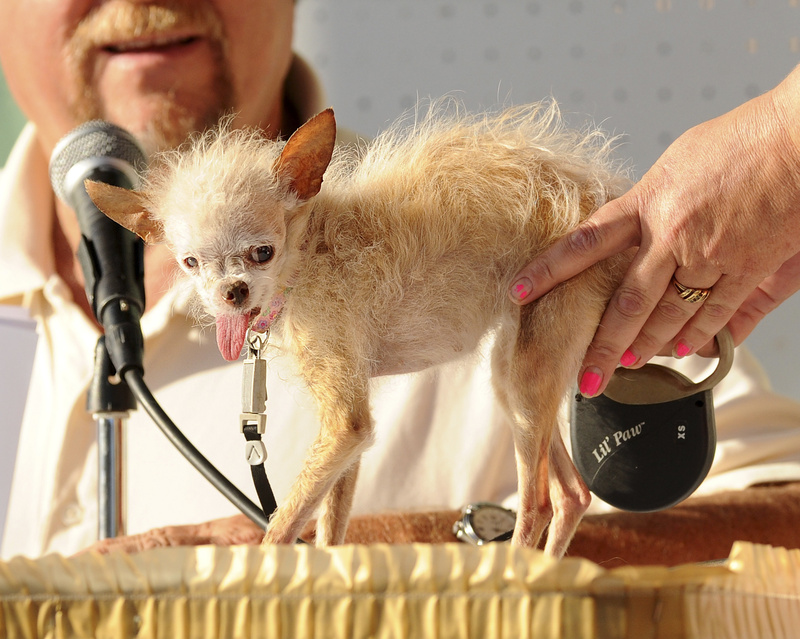 Yoda won the 2011 World’s Ugliest Dog contest at the Sonoma Marin Fair for her short tufts of hair, protruding tongue, and long, seemingly hairless legs. The Chinese crested and Chihuahua mix died in her sleep Saturday. She was 15. The 1.8-pound pooch had lived a rough life before Terry Schumacher found her abandoned behind an apartment building and mistook her for a rat. The dog went on to bag $1,000 and a trophy 15 times her size when she won the contest held in Petaluma, Calif., last June. Yoda and Schumacher became famous, appearing on national television. Contest producer Vicki DeArmon said Yoda will keep the title until a new ugliest dog is crowned in June.